This is not Loch Shin. 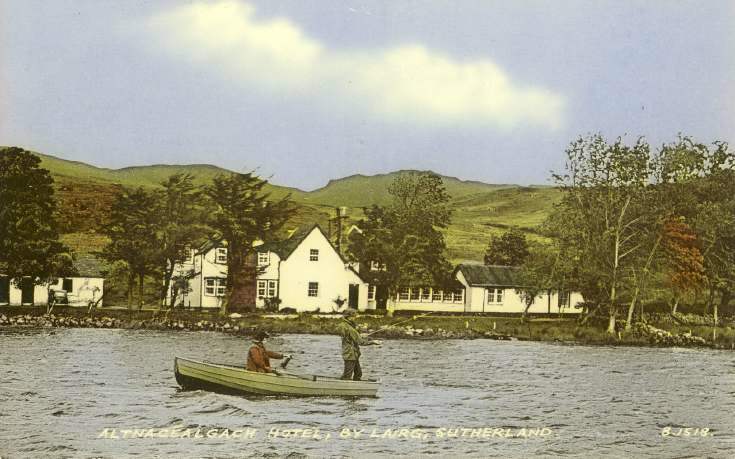 This is Loch Borrolan with the Altnacealgach Hotel (which was destroyed by fire in 1986) in the background. I think it's me fishing and my father rowing!